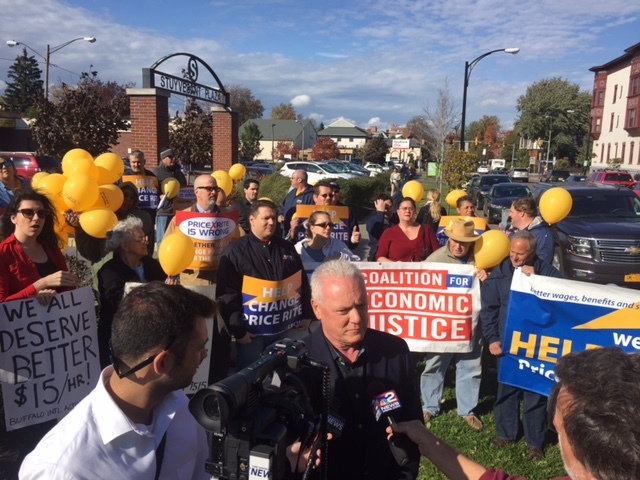 On October 15 and 16, UFCW, Jobs With Justice, and community partners from across Conn., N.Y., Mass., R.I., and Md., rallied to take aim at Wakefern Food Corporation’s Price Rite grocery store brand as part of the “Change Price Rite Supermarkets for the Better” campaign. The Price Rite campaign is part of a national and regional effort of communities coming together and fighting to improve the lives of workers by highlighting irresponsible employers who must take action to change the lives of the hard-working employees for the better. 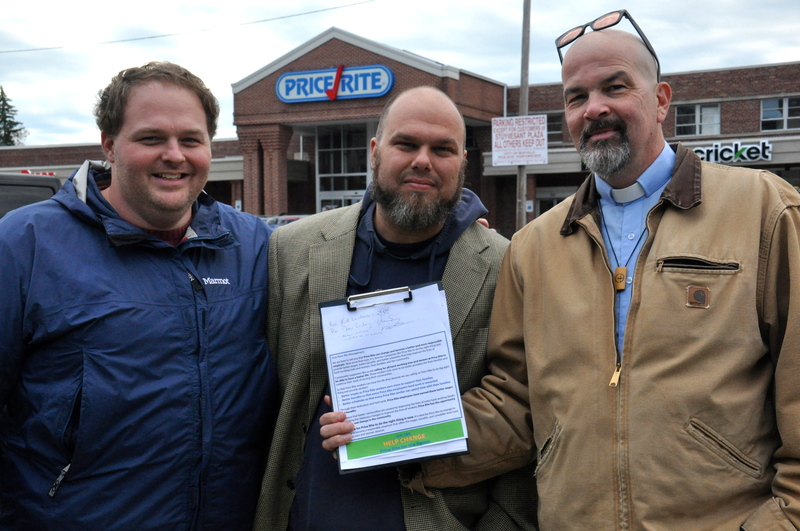 The “Change Price Rite for the Better” campaign will continue Thursday with public actions across four states, and will involve hundreds of local community leaders and partners from the UFCW, Jobs With Justice, local clergy, and local retail workers. “Companies like Price Rite are hurting hard-working families with low wages, a lack of benefits, and inadequate schedules that make it impossible for many employees to control their lives or take care of the ones they love. We have the power to change Price Rite into a better and more responsible employer. Our supporters, and Jobs With Justice, and other community leaders are speaking out and telling Price Rite and Wakefern that all hard-working men and women in communities across America deserve a better life,” said Tom Clarke, UFCW Region 1 Director. 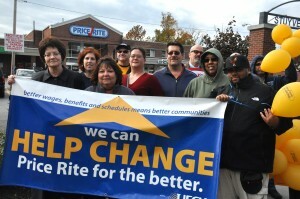 The “Change Price Rite for the Better” campaign is continuing with a series of coordinated public actions, as well as a targeted social media effort, that will reach out to educate and mobilize communities to support Price Rite employees’ efforts to better their lives. 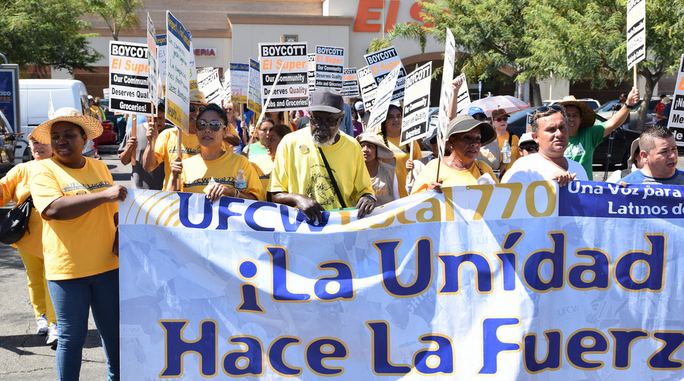 During this week’s actions, the UFCW, Jobs With Justice, clergy, and other allies are holding rallies outside of Price Rite stores. A delegation made up of representatives from each group is coming together to sign and deliver a letter to Price Rite management, calling on the company to “do what is right” and provide better wages, better benefits, and better scheduling that Price Rite workers deserve. At the Rhode Island rally on Friday the 16th, about 90 people showed up to support the workers, including AFL-CIO Secretary-Treasurer Liz Shuler and Rhode Island Jobs with Justice Executive Director Jesse Strecker. The delegation of supporters carried their message into the store, where they were stopped by corporate management. “Price Rite needs to become a better employer and do what is right for workers. I work hard every day to try to have a better life for me and my family. But with constant schedule changes and low wages, Price Rite makes it almost impossible. Together, we are asking Price Rite to do the right thing and provide the schedules and wages that we deserve,” said a current Price Rite worker. Price Rite runs 58 stores across eight states and employs thousands of hard-working men and women. Among the issues affecting many of the workers in the area are low wages, inconsistent scheduling, unpaid sick leave, and other poor employment practices proliferated by stores like Price Rite. These policies hurt employees, families and communities. The campaign to “Change Price Rite for the Better” is part of regional and national effort to highlight the need for retail companies, like Price Rite, to pay their hard-working employees better wages, provide better benefits and offer consistent scheduling, and respect on the job. The AFL-CIO recently featured the story of UFCW El Super worker Lydia Flores. Flores knows that coming together with her co-workers can make positive change. She is a member of UFCW Local 770, a shop steward and a member of the union’s bargaining committee.